Now Available! 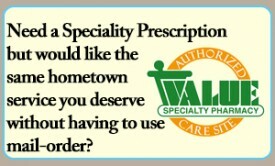 Refill Your Prescriptions Online! Port Allegany Pharmacy, located in Port Allegany, PA, has been providing the Port Allegany, Roulette, Smethport, Turtlepoint, and Eldred areas with quality care since 1937. And if there’s something you’d like us to carry, just ask! We can do that! 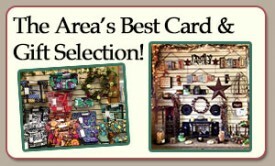 Our card department is known for it’s selection, and they’re still only $0.99 every day! Our home healthcare section offers a full variety of vitamins featuring Nature’s Bounty, a great natural supplement brand. We also have home medical equipment & a wide selection of over the counter products for first aid, cough, cold. We pride ourselves on offering additional benefits to our customers such as one-on-one medication counseling, free delivery service, and a variety of vaccinations. We love to hear from our customers! Please be sure to connect with Port Allegany Pharmacy on Facebook or contact us through our Connect & Contact Us page.